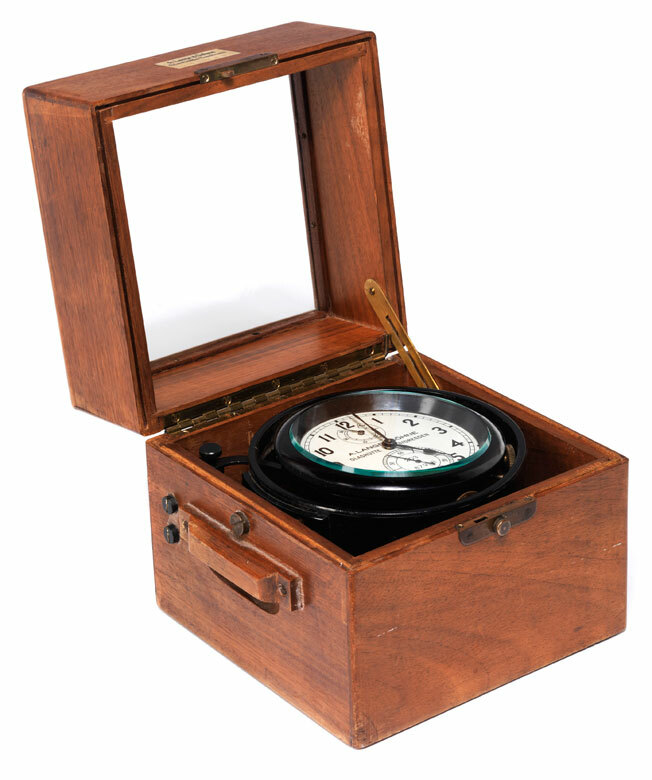 Maße des Kasten: 17,5 x 18,5 x 18 cm. 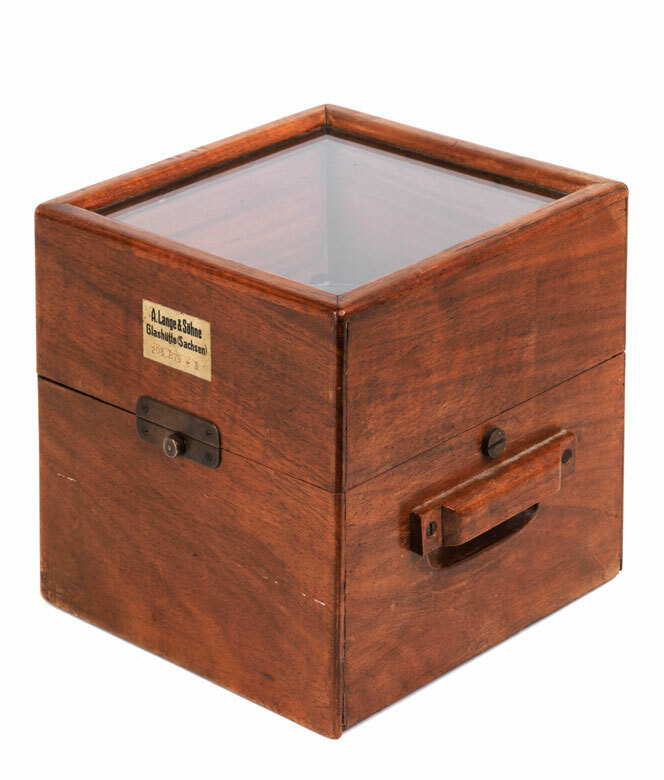 Box dimensions: 17.5 x 18.5 x 18 cm. 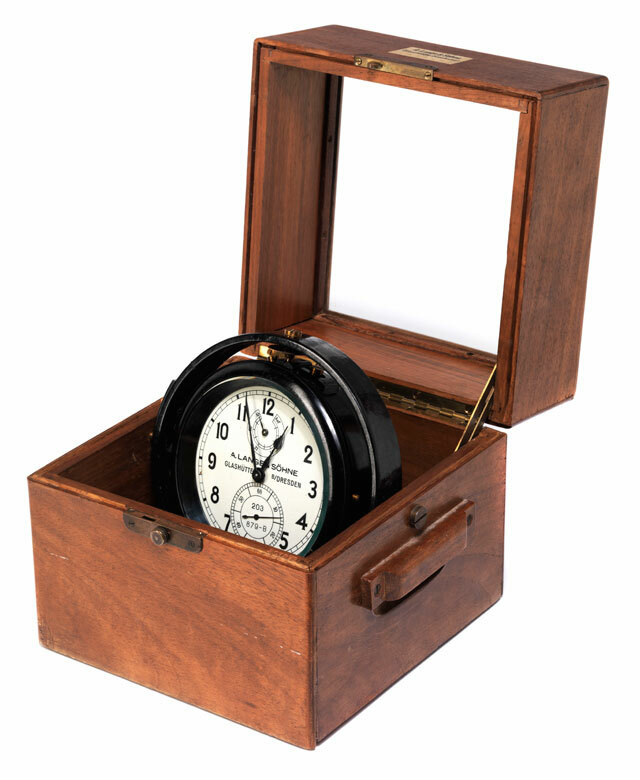 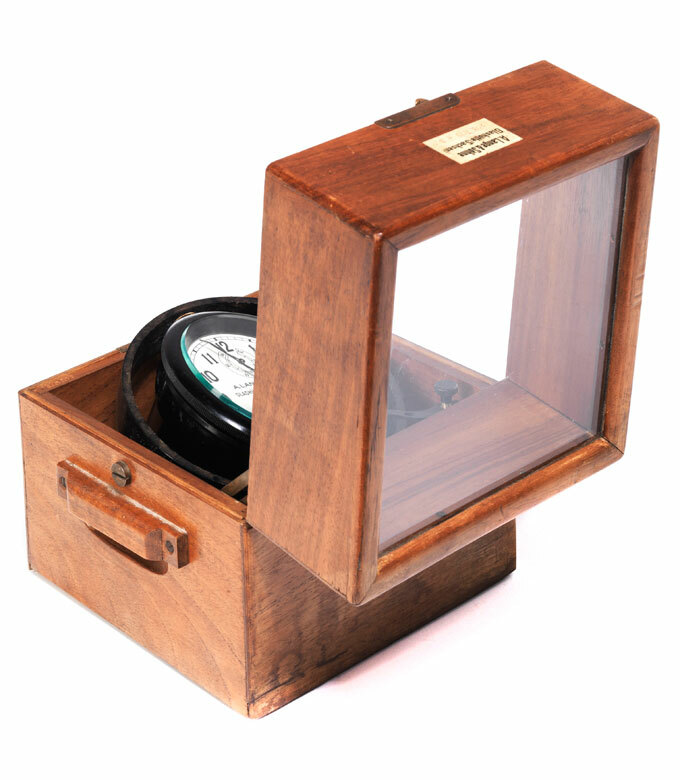 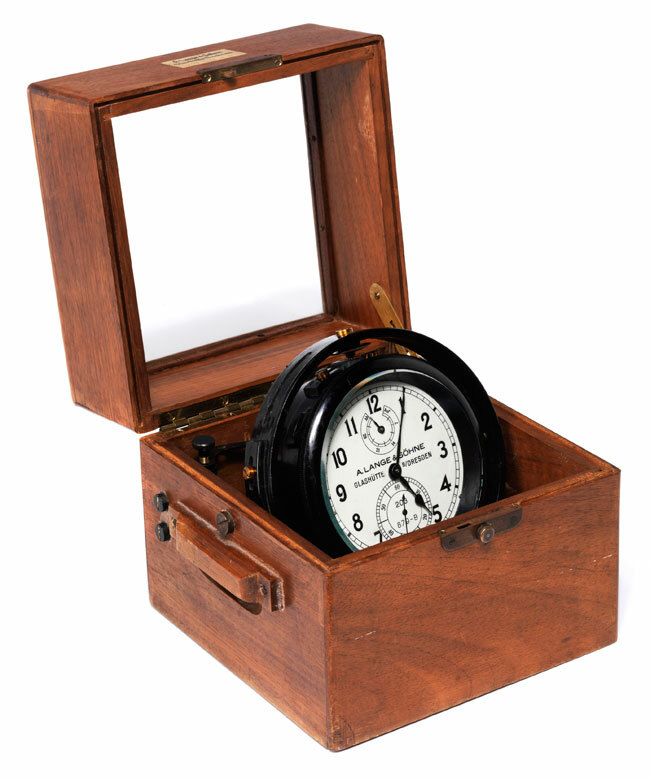 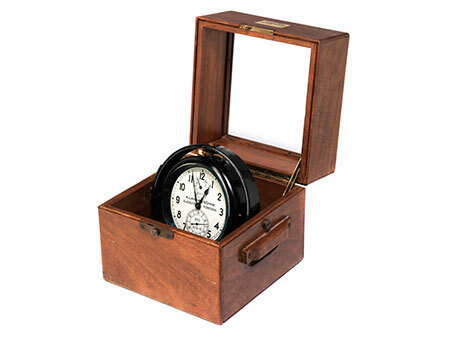 Flexibly mounted case with enamel dial with Arabic hour and separate second indices in wooden box. 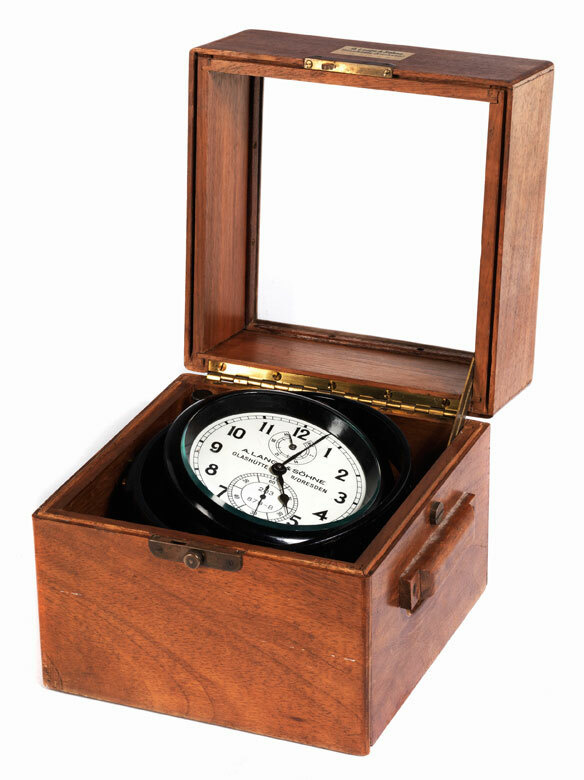 The dial inscribed with manufacturer designation: ”A. 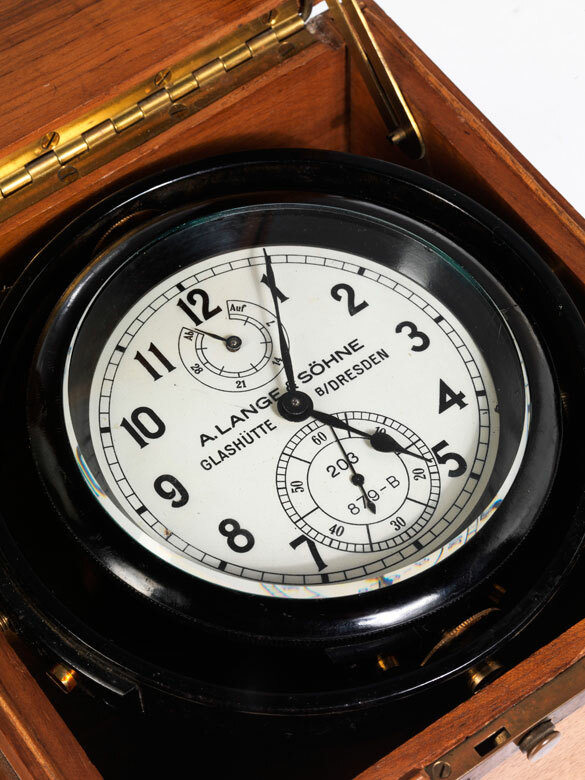 Lange und Söhne, Glashütte Dresden“ and inventory number “203 879- B“. 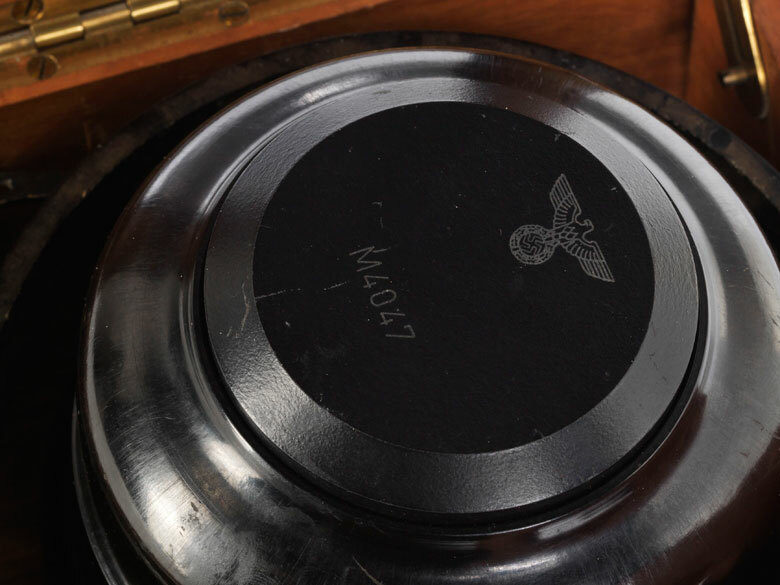 Imperial eagle and another inventory number “M4047“ on the reverse.